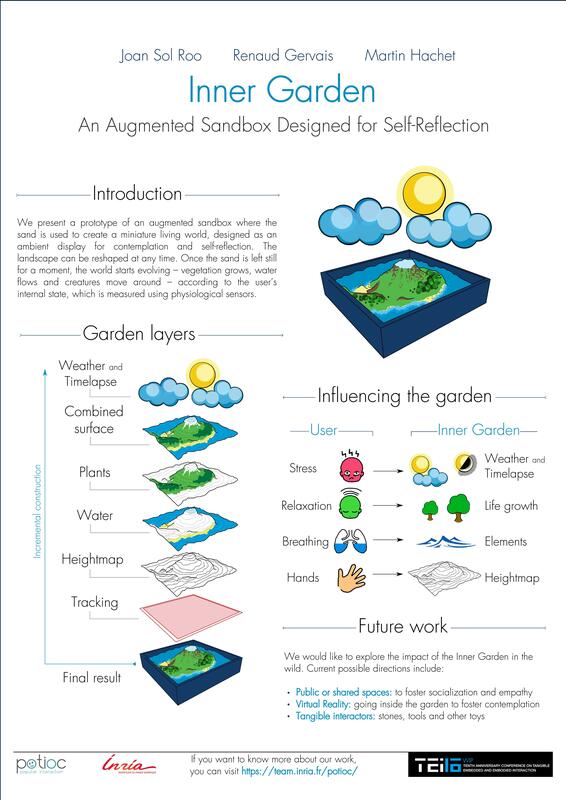 Abstract : We present a prototype of an augmented sandbox where the sand is used to create a miniature living world, designed as an ambient display for contemplation and self-reflection. The landscape can be reshaped at any time. Once the sand is left still for a moment, the world starts evolving -- vegetation grows, water flows and creatures move around -- according to the user's internal state. We use a consumer-grade EEG and breathing sensors to reflect on frustration and meditative states of users, which they can monitor by looking at the sandbox.